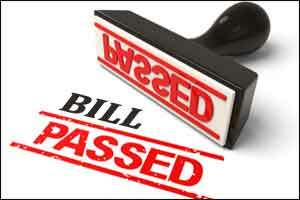 Belagavi: A diluted version of the controversial medical bill to regulate private health care was passed by a voice vote in the Karnataka Assembly after dropping a jail-term clause for doctors. The changes were made after the original bill met with stiff resistance from doctors and owners of private hospitals and nursing homes, who had called the penal provisions for medical negligence “draconian”. The government and the striking doctors had reached an amicable settlement that led to the withdrawal of the indefinite strike on November 17. Meeting a major demand of the doctors, the bill removes imprisonment provisions in case of violation of certain sections of the Act. Earlier, the bill had proposed six months to three years jail term and hefty penalty for medical negligence on the part of doctors, protesting which they struck work last week, paralysing medical services in private hospitals and nursing homes. The Karnataka Private Medical Establishments (Amendment) Bill, 2017 which makes amendments to the Karnataka Private Medical Establishments Act, 2007 (Karnataka Act 21 of 2007) was tabled by Health Minister Ramesh Kumar yesterday. It also provides for emergency treatment as per the need without insisting on payment of advance from patient or representative of the patient in specified cases and enhancing certain monetary penalties leviable under certain sections. Replying to the debate, Kumar said along with service rules and making it mandatory to list staff availability, medicine, services and equipment at government hospitals, there is a plan for an independent body as a regulator. “We are planning for an independent body, a regulator to come into force, headed by a Judge. We will bring this during the next (legislature) session,” he added. During the debate, most members had raised concerns on quality of health care in government hospitals. According to the statement of objects and reasons of the bill, it was considered necessary to amend the 2007 Act to reconstitute the registration and grievances redressal authority and enhance transparency in the display of rates by private medical establishments. The bill also empowers the state government to fix uniform package rates for treatment and procedures under its health assurance schemes, specify the patients charter and private medical establishments charter. It provides for levy of monetary penalty in case of non-compliance with the patients charter or private medical establishments charter. The bill was first tabled in the assembly on June 13 and later sent to the joint select committee after opposition by doctors and medical professionals. The bill also stated that complaints pertaining to negligence, non-adherence to standard protocols for treatment, procedures and prescription audit shall be referred to the Karnataka Medical Council for inquiry. The doctors had called off the strike after meeting Chief Minister Siddaramaiah and an interim order by the Karnataka High Court, directing the agitating doctors to restore forthwith their medical services. Earlier, participating in the debate, Opposition BJP Leader Jagadish Shettar, JDS leader H D Kumaraswamy and several other legislators had expressed reservations about government doctors and hospitals being kept out of the bill purview.